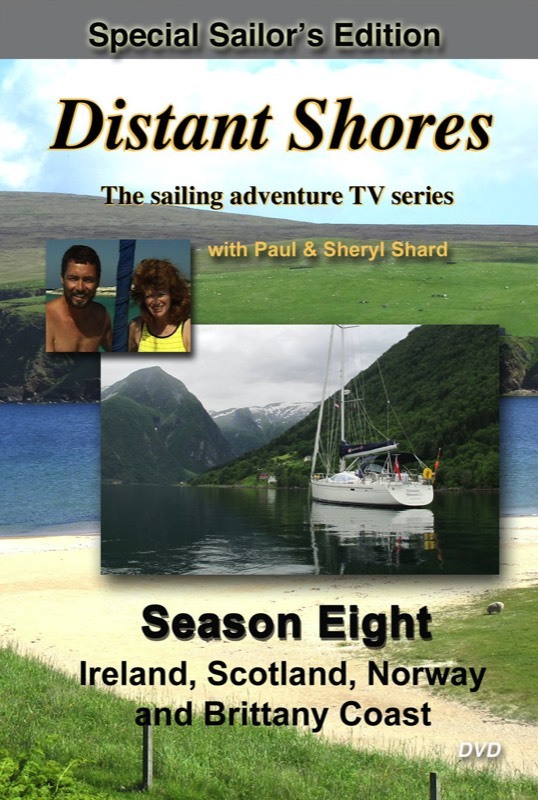 We made two programs on cruising Ireland for Season Eight of Distant Shores. "Ireland - Waterford" - we prepare the boat for a new voyage which will take us west from England across the Celtic Sea to Ireland to the Barrow Estuary and Waterford, famous for crystal. At the port of New Ross we visit the historic Dunbrody Emigrant Ship and on a trip through one of Ireland's most scenic waterways we join a local boater who introduces us to the magic of Irish music. "Dublin to Belfast" - we wait out a storm in Dun Laoghaire, learn the proper way to serve Irish beer in Dublin, find out why the medieval town of Carlingford is a good place to search for Leprechauns, and at the Titanic Exhibition near Belfast, learn new things about life aboard this famous ship.